The Global Alzheimer’s Platform Foundation (GAP) created a first-of-its-kind award to celebrate Alzheimer’s disease clinical trial participants. The only way to find treatments and cures for Alzheimer’s is through clinical trials and these volunteers make that research possible. Alzheimer’s trials over the next few years are estimated to need more than 25,000 participants. According to a 2016 Harris Poll undertaken by GAP, 60% of Americans are willing or would consider participation in Alzheimer’s disease clinical trials, but far fewer than 10% do so. There is a systemic need to educate Americans about the availability of clinical trials and to encourage participation. GAP has formed a unique network (GAP-Net) of more than 65 leading private and academic clinical trial sites. 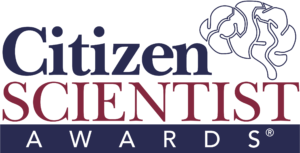 All GAP-Net sites can nominate up to three Citizen Scientists® in each of three award categories for a total of up to 9 nominees per GAP-Net site. Each site will celebrate these nominees at local site and regional events. A final awardee will be selected in each award category. Each nominated individual will be presented with a certificate for being named a Citizen Scientist Award® Nominee. Three selected winners will be recognized at the annual UsAgainstAlzheimer’s National Summit in Washington, DC, held in the fall of each year. Nominees to be a clinical trial participant who has personally made extraordinary efforts to support local research and participate in a trial. Nominees to be a clinical trial participant who fights for a cause and is an advocate for trial participation in the community. Nominees to be a clinical trial participant who acts as a stimulus in bringing about or hastening a result through creative, new, and novel approaches to encourage clinical trial participation.